Object vs. NAS storage: Who best handles big data? As unstructured data growth continues to explode, businesses have begun to question whether or not their storage systems will be able to handle the influx of videos, tweets, emails, and more that have become mission-critical. 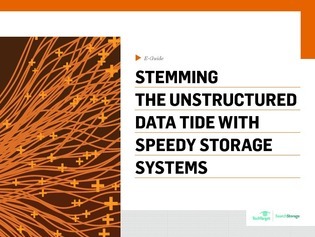 Scale-out NAS and object storage emerge as alternatives to traditional systems, but how does each contend with these tides of data?